“I grew up on the family farm, but there’s no place for me on the farm—the future’s not there,” says Ryan Reed, who was raised in Illinois and is now involved with the International Gay Rodeo Association. “A nonprofit did not renew my contract after two years because of who I am,” says lesbian urban farmer Ari Rosenberg of Philadelphia. “Farming in general is rural, and in a rural environment, LGBT does not fly,” says Nathan Looney, a transgender urban farmer in Los Angeles. Their voices are among many LGBTQ (lesbian, gay, bisexual, transgender, queer) farmers who strive to be true to themselves—not only in terms of vocation, but also regarding their core selves as expressed through sexual orientation and gender identity. This can be difficult, but a number of organizations are engaged in some serious advocacy work to help LGBTQ farmers live up to and into their truest selves. LGBTQ farmers struggling to be “out” in the broader world of agriculture need look no further than the United States Department of Agriculture for assistance. 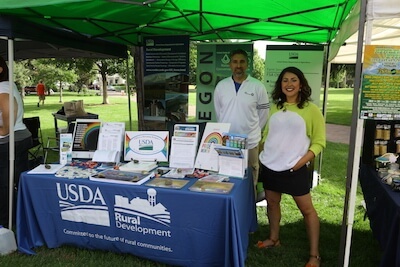 The USDA has a National LGBT Emphasis Program, managed by Meghan Walter, a hydraulic engineer with the Natural Resources Conservation Service in Oregon. Agriculture Secretary Tom Vilsack created the LGBT Emphasis Program. Other USDA Special Emphasis Programs focus on women, ethnic minorities and those with disabilities—they’re part of the Equal Employment Opportunity and Civil Rights Program, and exist to foster equal employment opportunity. More broadly, USDA’s non-discrimination statement includes sexual orientation, gender identity, and gender expression. These non-discrimination protections extend to USDA-conducted programs such as Farm Service Agency farm loans. However, Walter points out that USDA’s non-discrimination policy does not yet extend to USDA-assisted programs, which include SNAP and WIC benefits. Despite the uphill battles faced by LGBTQ (and other minority) farmers, Walter is extremely pleased at the progress made at USDA under Vilsack’s leadership. Walter believes that the USDA’s scope throughout both rural and urban America will help the agency to bolster acceptance and inclusion of LGBTQ folks in the farming world. “We’re out and talking about it—entities like USDA have an office in every county across the nation,” she says. “We’re engaging customers, talking and reaching out to people who live and work in communities in which we serve. Why did the USDA need to create an LGBT Emphasis Program in the first place? Walter points to the Lavender Scare, a homosexual witch-hunt of sorts that took place concurrently with the communist Red Scare in the 1950s. “The FBI could investigate people because of their perceived sexual orientation,” Walter says. But in 1978 came the federal Civil Service Reform Act, which addressed equal employment opportunity (among a myriad of other items). In the early 1990s USDA added sexual orientation to its civil rights statement. But of course, most farmers don’t work for the federal government, and LGBTQ farmers can find themselves on the front lines of a continuing culture war. 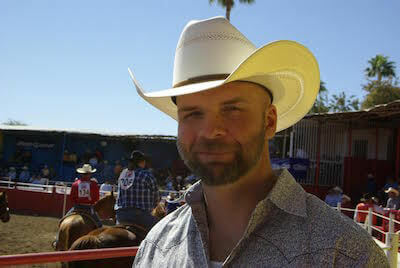 Today Ryan Reed is a college professor in California and a volunteer with the International Gay Rodeo Association. He grew up on the family farm in Illinois. Due to his sexual orientation, he knew at an early age that he wouldn’t be part of the farm’s lineage. Two decades later, he realizes he’s one of many just like him, and that the rural-to-urban migration of young LGBTQ people persists. But as for conventional farming in rural America, he believes that there is still a long way to go. As an example, he points to the rural state of Wyoming. With less than 600,000 residents, it’s the least populous state in the U.S. Its capital and largest city, Cheyenne, is home to less than 60,000 people. Reed says that no LGBTQ nightclubs exist in Wyoming, so LGBTQ residents in the state migrate to Denver. So amidst all this bleakness, how can gay rodeo help? In plenty of ways, according to Reed, who says that gay rodeo serves as a bridge between rural culture and the larger gay community. Gay rodeo is also a place where rural LGBTQ folks can relax and be themselves. Additionally, Reed says gay rodeo often results in people’s initial interactions with LGBTQ people. Reed has also seen major progress in acceptance. He recalls during the late 1980s when a gay rodeo event was to be held outside Reno, Nevada, and a local resident led a lawsuit to stop the event. Hence, no gay rodeo in Reno that year. Reed sees this is part of a larger movement of inclusion, and already sees a trend of gays and lesbians moving back to rural areas. There’s still a long way to go, though. “This reverse migration will take time,” he says. Nathan Looney, a 31-year-old urban farmer in Los Angeles and a transgender man, founded Westside Urban Gardens in 2015. 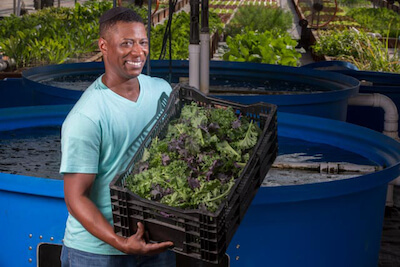 His agricultural startup utilizes hydroponics and aquaponics, and aims to create drought-tolerant growing solutions for Southern California residents. Looney served in the U.S. Army, and credits the Veterans to Farmers program in helping him make the shift from serving in the military to growing food. However, this was not his most profound journey—he was also figuring out how to be authentic in living into his true gender. Since beginning life as a male six years ago, Looney’s transgender status is, in his own words, a “non-issue for him.” Yet he acknowledges that living in a cosmopolitan city such as Los Angeles has made his journey easier. “Farming in general is rural, and in a rural environment, LGBT does not fly,” he says. One of Looney’s goals for Westside Urban Gardens is for it to not only grow great food, but also to create jobs for LGBTQ people who are seeking meaningful employment. “Not just a job, but viable skills,” he says. In the face of ongoing discrimination against LGBTQ folks, Looney is hopeful about the future. 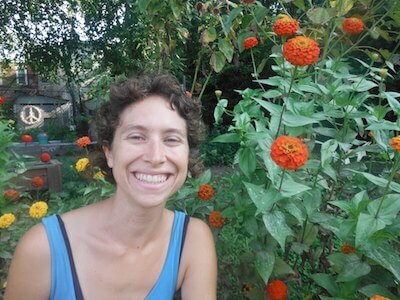 Philadelphia urban farmer Ari Rosenberg started her sustainable agriculture odyssey in 2002, at the age of 17. Since then, she’s worked on small farms in a variety of places, including Nepal, India, Maine, New Jersey and Philadelphia. A lesbian who mainly navigates urban spaces, Rosenberg still feels that she has encountered discrimination. Now Rosenberg works with an urban farm in Philadelphia, and despite her previous negative experience, she’s optimistic that LGBTQ farmers have a place at the table. Walter touts numerous USDA initiatives, such as taking part in pride festivals and manning pride outreach booths. “We will be in Oklahoma [for pride] for the first time this year,” she says. USDA also is helping with efforts to expand LGBTQ rights and awareness into rural America. When asked if a new president in the Oval Office could possibly have a negative impact on USDA’s efforts on behalf of the LGBTQ community, Walter expressed hope.